Adam Traynor graduated with a Honours degree in Drama from the DIT Conservatory of Music and Drama Rathmines in 2010. His previous Theatre roles include: John Proctor in “The Crucible”, Liam in “Orphans”(Focus Theatre) for which he received excellent reviews. Other credits include “A Day Out” (The Project) 2013, “Uprising” (The Garage) 2014 and “Crossings” (The Project) 2014. 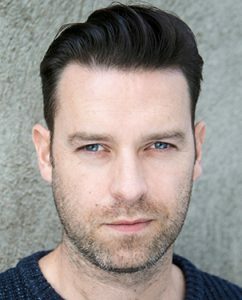 Film and television roles include: Vikings Season 4, Fair City, Ceart agus Coir (TG4), Promised Land (RTE), Redline (RTE) and Forgiving Amy ( RTE). He has just completed work on Ripper Street Season 4. He was selected to be the new face of the award winning South African whiskey Three Ships Whiskey. Promised Land was praised and recognised for the Best Short Film category in the Foyle Film Festival. Adam has worked with world renowned photographer/visual artist Kevin Abosch in a feature Sweet Cake. The film Redline, in which Adam plays a leading role was selected for the New York Film Festival and received its world premiere in Manhattan. Adam is a keen photographer and videographer and is currently writing a short film and his first feature film. Click here to view links to his recent works : ThisContent .. Comedy. Kind of. Vikings First Viking VK Five/History Ch. Red Enemy Lead Luke Daly Bold Puppy Prods.